RICHMOND, Va.- (Jan. 19, 2015) A bill introduced in the Virginia assembly would take the next step in stopping illegal federal kidnapping under the 2012 National Defense Authorization Act. Virginia stood alone and passed the first bill in the country addressing detention provisions written into the NDAA in 2012. 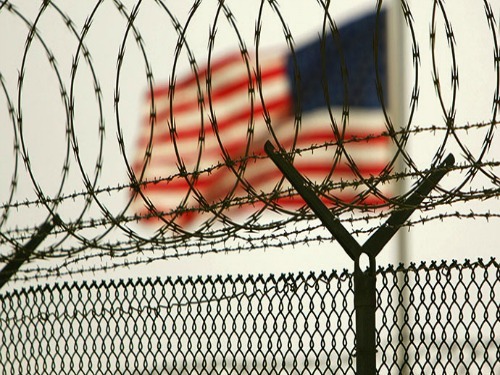 That law forbids state agencies, in some situations, from cooperating with any federal attempts to exercise the indefinite detention provisions written into sections 1021 and 1022 of the National Defense Authorization Act. HB2144, sponsored by Del. Benjamin L. Cline (R – House District 24), takes things two steps beyond simply refusing to cooperate with the federal agents in the event of indefinite detention in Virginia. This bill turns the tables and systematically creates the type of leverage and attention D.C. would not want public if it refuses to cooperate with the state of Virginia. This legislation would require two things from the feds if it detains a U.S. citizen in the state of Virginia. A series of events is triggered upon detainment of any person in the state of Virginia by the DoD. The state of Virginia will gather and publish Memoranda of Understanding (MOUs). These are essentially partnerships with state funds attached to them. These agreements are not necessarily legally binding, but usually offer some privacy between state, private enterprises (contractors), and federal partnerships. Much of this kind of information usually remains hidden from the general public. This provision in and of itself provides a great service to the people of Virginia, allowing them to see exactly what types of agreements exist between the state and various federal agencies. The legislation then adds a final provision that would go into effect if the federal government detains somebody under Section 1021 and 1022 of NDAA 2012 and fails to provide the requirements in sections one and two. “…funds appropriated for implementation or continuation of such MOUs shall be contingent upon authorization by an act of the General Assembly in a subsequent year. The Governor may also order termination of any MOU at any time for noncompliance with this section. Virginia is one of DC’s (specifically the DoD’s) prime real estate providers. It serves as home to many government, private security, and intelligence contractors, particularly in the Northern Virginia area. HB2144 demands the feds comply or creates a climate where the state can end those contracts of cooperation that the DoD relies on through either the legislature or the governor. TLB recommends you visit Tenth Amendment Center below for more great information and get involved. TLBTV: GLOBAL NEWS UPDATE – The United States of Phoenix!